With Singles Day fast approaching, many are drawing up a shopping list in preparation for the online shopping extravaganza. Perhaps you are a multimillionaire in the market for an airplane? A collector of space paraphernalia such as asteroids? Well, you’re in luck. Because Taobao seems to sell just about everything. We look at five crazy items that have been offered on China’s largest e-commerce platform. 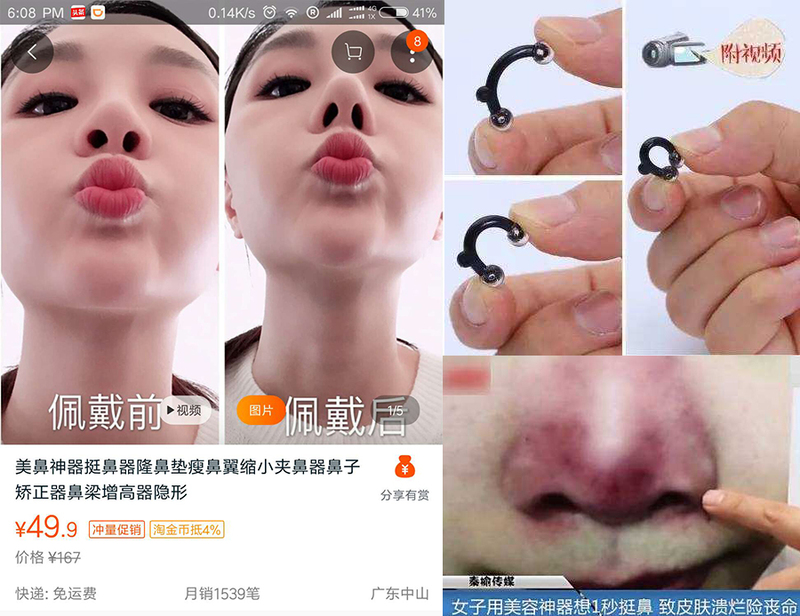 Taobao is heaven for makeup artists and hair stylists. Thousands of beauty products can be found on the e-commerce platform but some would make you go huh? The invisible nose heightener is a small silicone piece that fits inside the nostrils to push up the bridge of the nose. This helps the user to have a higher rather flat looking nose, without cosmetic surgery. Word of caution – wearing these for extended periods of time will lead to extreme discomfort, bleeding and damage to the nasal membrane. NASA reported that on Oct 4th, there was an asteroid impact near Yunnan in China, generating a bright explosion seen by many local residents. 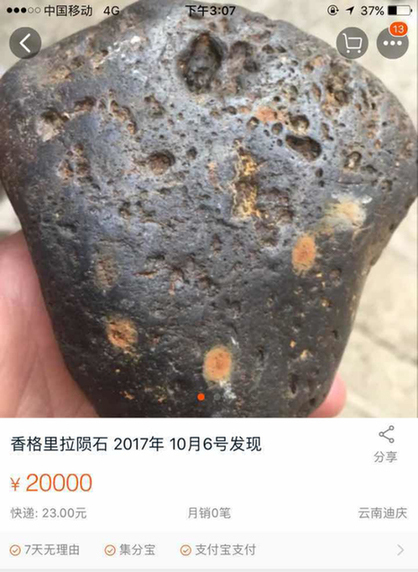 Soon after, items called Shangrila asteroids popped up on Taobao. Despite vendor reassurances, space paraphernalia collectors should beware that the authenticity of these asteroids is not verified. Several listings were investigated by Taobao and Yunnan’s commerce department for fraud. “Does the thought of nuclear fusion reaction terrify you? It can actually be very safe. This kit will help you carry out nuclear fusion reaction in your lab or garage step by step.” So goes the description for a mini nuclear fusion reactor by a vendor from Shandong. 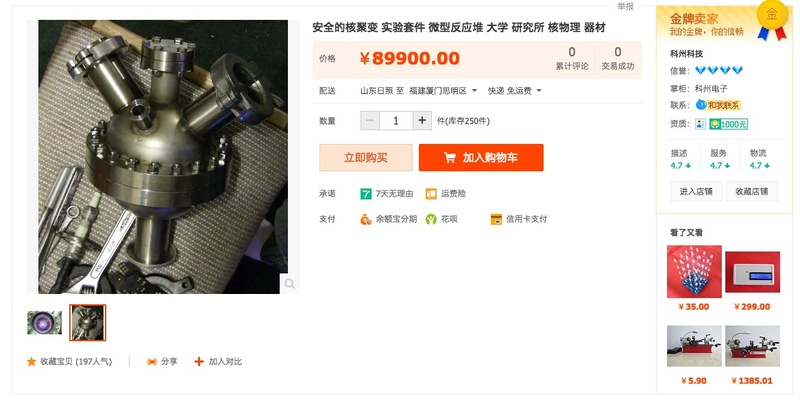 Unfortunately for budding nuclear scientists and fortunately for the general public, this one of a kind mini nuclear fusion reactor kit is no longer on sale on Taobao. The kit would have come with the reactor, protective gear, a neutron detector and an instructional DVD in Chinese and English on how to use the reactor. The only condition for purchase listed was “no terrorist organizations”. This listing reportedly offered t-shirts that look exactly like the one that was worn by one of the women who allegedly assassinated North Korean dictator Kim Jong-un’s half-brother Kim Jong-nam in Kuala Lumpur International Airport in February 2017. 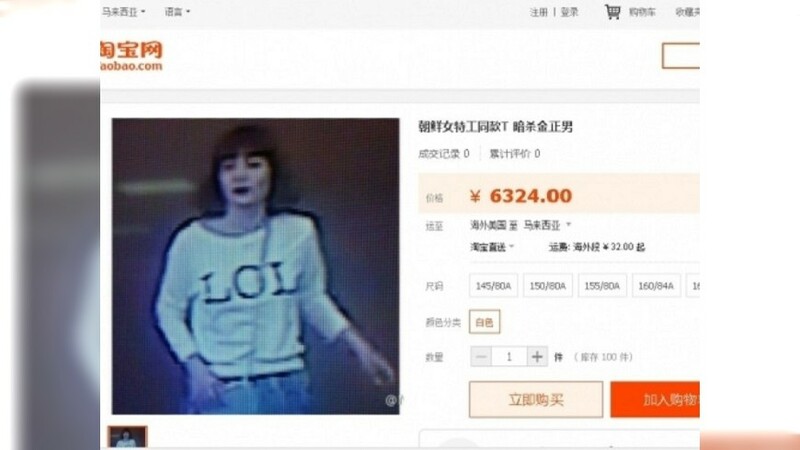 In security camera footage, one of the alleged assassins was shown to be wearing a t-shirt that had “LOL” on the front. It was most likely a joke listing, but Taobao is the perfect place for customized clothing. Vendors can take your designs and turn them into pieces of clothing in no time at all. While technically not on Taobao itself, three Boeing 747s will go on sale on Alibaba’s auction app. The airplanes were put on auction by Jade Cargo International, an airfreight company started by Shenzhen Airlines and Germany’s Lufthansa (in Chinese). The company went bankrupt in 2011 and needed to sell off its assets. 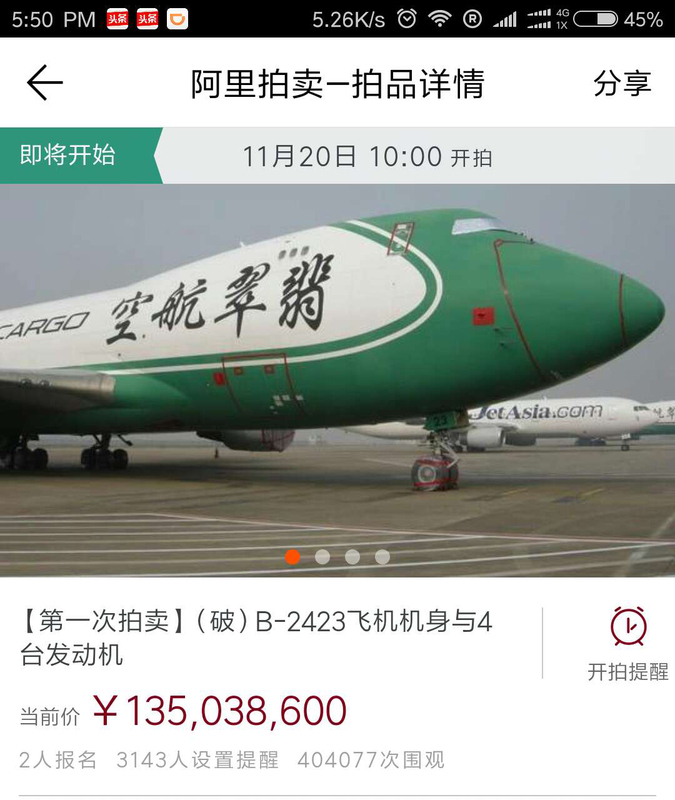 At previous offline bankruptcy auctions, Jade Cargo International didn’t have any luck finding buyers for the Boeing 747s so the airplanes were put on Alibaba’s auction app. The first auction is set for 20 Nov. 2017, interested buyers can start bidding at RMB 135,038,600. UPDATE: and the airplanes go to… STO Express! As reported by our sister site (in Chinese), the courier company won the online Alibaba auctions for two Jade Cargo International airplanes. B-2422 was won after 26 bids for RMB 161 million and B-2423 was sold for RMB 162 million after 27 bids. The Boeing 747s will have a new life as STO Express cargo airplanes. Have you come across some crazy items for sale on Taobao? Let us know in the comments below!